Joseph B. 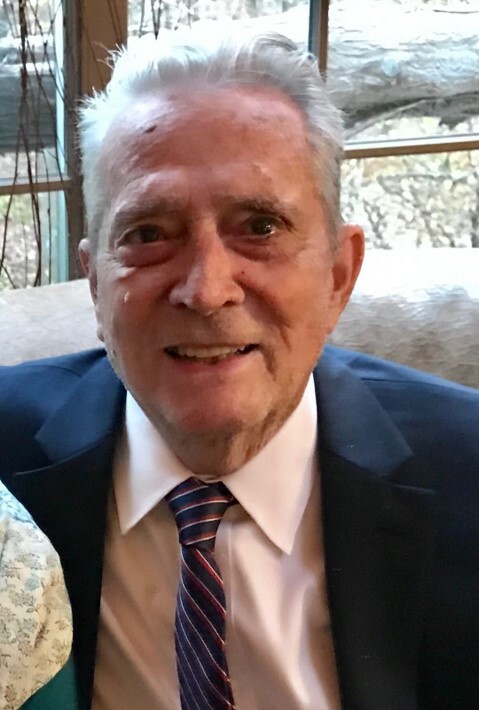 Ferry, 87, of Bethlehem passed away April 7, 2019 in St. Luke’s Hospice House, Bethlehem. His wife is Margaret Mary Ewing Ferry. The couple was married 56 years. Born in Ardmore, son of the late Hugh and Mary Reilly Ferry he was a graduate of St. Joseph’s University. He was a Korean War Veteran serving with the United States Army. He worked for Bristol Myers Squibb and Miller Blood Center. He enjoyed gardening and reading. Surviving in addition to his wife Margaret are daughters Peggy Ferry, Katherine Ferry Galow and husband James, Caroline Ferry Houck, and Mary Ferry Flowers and husband Rob; sons Joseph A. Ferry and wife Tammy, and James Ewing Ferry; grandchildren Paul, Alexandra, and Connor Houck, Thomas Galow, Sydney, Margaret and Katherine Flowers; step grandsons Erik and Kevin Galow; and a nephew Hugh Ferry. He was preceded in death by sisters Mary and Nora Ferry; brothers Vincent and James Ferry. In lieu of flowers memorial contributions may be made to St. Luke’s Hospice, 2455 Black River Rd, Bethlehem, PA 18015.